In 1893 Albert Fisher had a mansion constructed in a sparsely populated neighborhood on Salt Lake City’s west side near the banks of the Jordan River. Fisher, who had immigrated to Utah from Seebach, Baden, Germany in 1881, chose the location on 200 South because of its proximity to his work. The two-story, twelve-room house, designed in the Victorian Eclectic style, stood a stone’s throw from what eventually became the largest brewery in Utah, the A. Fisher Brewing Company. And though the Fishers and the brewery had the neighborhood somewhat to themselves for a while, around the turn of the century Albert, his wife Alma, and their five children were living in the midst of a well-populated residential subdivision. Like his neighborhood, Fisher’s beer business was booming at the turn of the century. 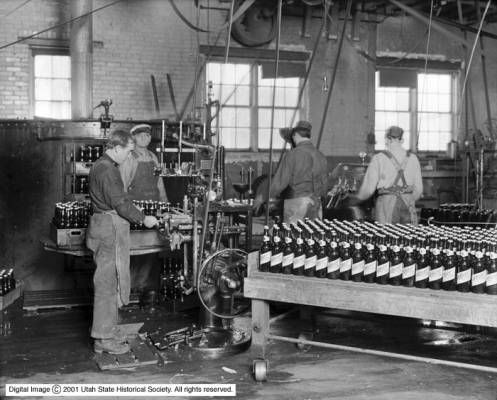 By 1905 Fisher employed 50 people and was brewing 75,000 barrels to distribute to the many taverns he owned in the Salt Lake Valley.1 A. Fisher Brewing, along with the Salt Lake Brewing Company, was bigger than Coors. 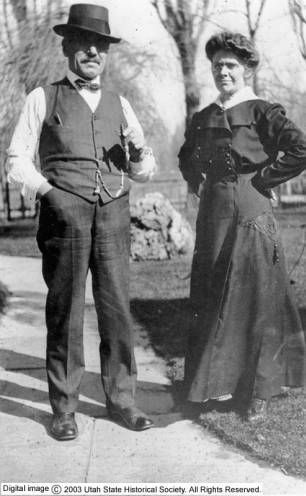 Such skillful brewing and entrepreneurial know-how made Albert Fisher an industry titan and Fisher Mansion matched his titanic status in the brewing industry and in Salt Lake. Further proof of its strength and popularity as a business, A. Fisher Brewing was the only brewery to reopen in Utah after the repeal of Prohibition. Fisher had constantly struggled with morality laws that hindered his business. He even ran ads saying, “Beer drinking people are a home-loving, moral people.”2 Such a statement might be seen as a direct address to Salt Lake’s dominant religion, the home-loving, moral Mormons. Despite its successes and popularity though, Fisher's business couldn’t escape Prohibition and was forced to close from 1918 to 1933. After reopening, the brewery remained a viable business until 1957 when A. Fisher Brewing, run by Albert’s son Frank, succumbed to its competition and was bought out by Lucky Lager in San Francisco. 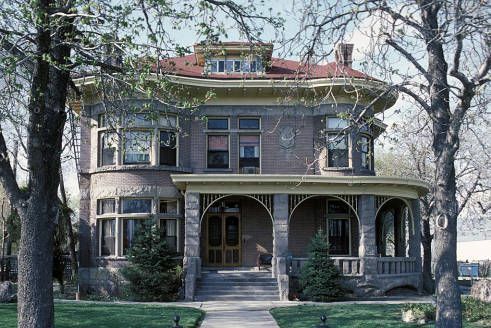 The Fisher Mansion, on the other hand, has remained a well-used and well-loved structure in Salt Lake for 120 years, adapting to new functions and changing to fulfill the needs of the surrounding community. For its first 51 years members of the Fisher family inhabited the house. In 1945, Albert and Alma’s daughter Alice and her family, the Davidsons, leased the mansion to the Catholic Church. The residence became a convent for Our Lady Queen of Peace and Our Lady of Victory Missionary Sisters. Then in 1970 the mansion became St. Mary’s Home for Men, an alcohol and drug abuse treatment facility. The home accommodated 41 men, providing them with shelter, food, clothing, counseling, and job assistance. Though its surroundings have become much less residential over the years, in part due to construction of I-80 for which many homes were demolished, Fisher Mansion still stands. Salt Lake City purchased Fisher Mansion in 2006 to preserve the building and complete the Jordan River Trail. The City has solicited the public’s input to decide the mansion's function, but it’s clear that whatever that may be, the 120-year-old mansion will remain an important Salt Lake City site. From housing a beer baron and his family, to providing treatment for alcohol and drug abuse, throughout its history Fisher Mansion has proven its adaptability and firmly established itself as a community center on Salt Lake’s west side.